Yue Minjun is a leading figure of China’s post-Tiananmen generation of artists. 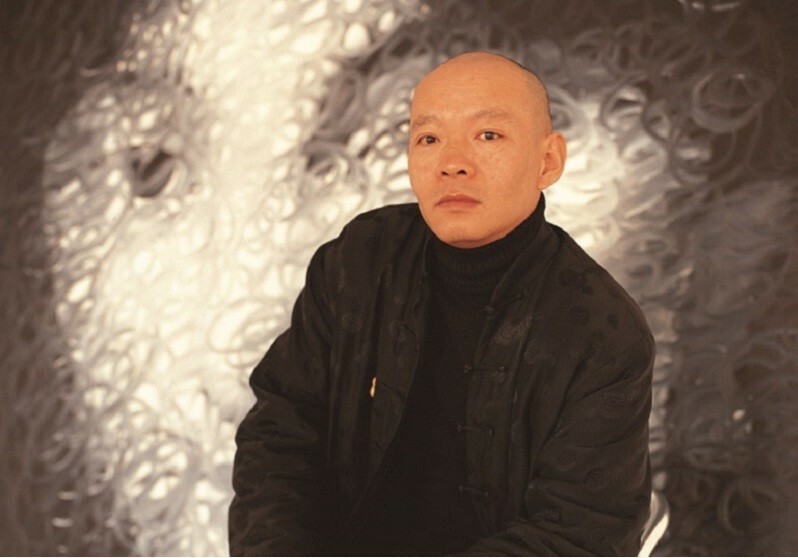 His artistic style is described as “Cynical Realism”, a term used by leading art critic Li Xianting to represent the disillusioned artistic movement that emerged after the 1989 student demonstrations in Tiananmen. 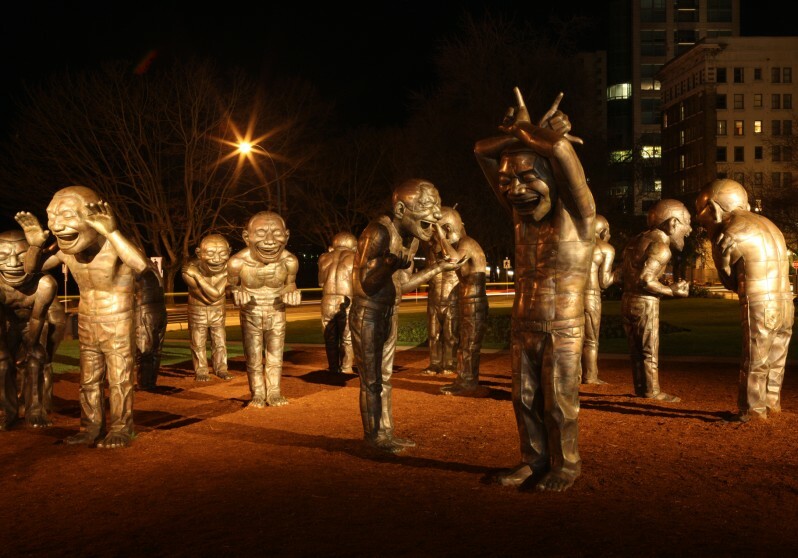 Humour, cynicism, repetition and an emphasis on the individual are common characteristics of this artistic movement. Yue Minjun was one of the first artists to translate this new ironic view of contemporary life. His social commentary reveals suffering and misery, which are masked within his ironic laughter. He sees politics as a part of his daily life, which is everywhere, and thus permeates his artwork, even though he does not consider himself a politically motivated. 2007 marked a high point in Yue Minjun’s career, when three of his artworks, sold for over $3 million dollars USD each, one of them Execution became the most expensive artwork by a Chinese contemporary artist. In the same year he was the only artist on a long and distinguished nomination list for Time Magazine’s “Man of the Year 2007”. 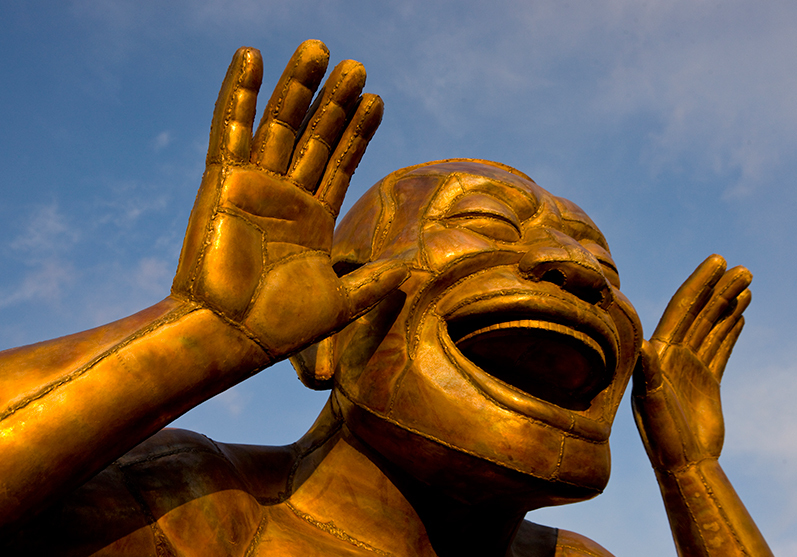 Speaking about the donation of A-Maze-ing Laughter, Yue Minjun saiid, “I’d like to extend my most sincere gratitude to Vancouver Biennale and Wilson family, who helped me realize my dream to have my work, A-Maze-ing Laughter, become a legacy public art work in Vancouver. I appreciate your respect and passion for art. My intention when making this series of sculptures was to use art to touch the heart of each visitor and to have them enjoy what art brings to them. I feel honored and happy to have my work displayed in Vancouver. I seem to have seen your smiling faces in my heart”. CNN - What's behind the grin of Yue Minjun?